It's not Chinese New Year just yet. But it comes pretty early this year, Sunday February 10th. That's just a few days from now. What Does the Snake Symbolize? The Chinese have many attributes for those born during the Year of the Snake. These include good looks, charm, intelligence, decisiveness, and keen observers. They can also be aggressive and tyrannical if they give in to the dark side. The first, comes from writer Edgar Allen Poe's short story, The Cask of Amontillado. A family coat of arms is described in the story: It's a golden foot on a blue background stepping down on a snake whose fangs are biting down on the foot's heel. A Latin motto is part of the coat of arms: Nemo me impune lacessit, which I loosely translate as: No one insults me without getting hurt. The second, is from America's founding and best represented by the Gadsden flag (named after American general and statesman Christopher Gadsden). 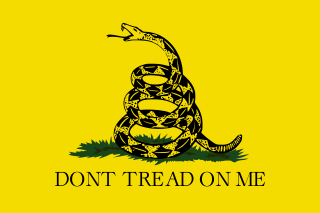 It's a yellow flag with a coiled rattlesnake ready to strike with the words written beneath: Don't Tread on Me. The attitude expressed by these two American snake motifs is the attitude a great Wing Chun fighter should hold dear: "I mind my own business, but if you look for trouble I'm giving you a world of hurt." Have a great Chinese New Year and remember to express the attitude of the snake this year. Subscribe to Wing Chun Life News!